Slogan for the support of the persecuted American ex-soldier who is claimed to have leaked secret documents to WikiLeaks. A lot of hoo-hah has been made about whether American whistle-blower Bradley Manning should have released the quantity of cables he did – and what his motivations were, and what the outcomes have been – in what became known as Cablegate or the Wikileaks scandal. I feel it is time Manning’s actions and their consequences – as he approaches 1,000 days in jail without trial, which is a direct contravention of the American constitution – be put in some sort of perspective. First: did the documents reveal anything new or important? While some of the revelations in the documents were previously suspected by academics or human rights advocates carefully studying these topics, the documents uncovered many details that were previously unknown. The documents give American (and world) citizens greater insight into the reasoning behind U.S. foreign policies than they have ever been privy to before. It is one thing to suspect something is occurring, but is another thing to have it confirmed by primary sources in the government. At the end of April 2011, The Atlantic Wire published a study in which they found that for the first four months of 2011, nearly one-half of New York Times editions cited one or more of the leaked cables in their news stories. Many facts brought forth in the documents are of great significance to those working in the fields of foreign policy and human rights advocacy. The civilian dead in Iraq and elsewhere are not mere statistics. They are people. And they are innocent. Thanks to Bradley Manning, we know the American Government knows how many have died. 1. There is an official policy to ignore torture in Iraq. 2. There is an official tally of civilian deaths in Iraq and Afghanistan. 3. Guantanamo prison has held mostly innocent people and low-level operatives. 4. The State Department authorized the theft of the UN Secretary General’s DNA. 6. The State Department backed corporate opposition to a Haitian minimum wage law. 7. The U.S. Government had long been faking its public support for Tunisian President Ben Ali. 8. U.S. officials were told to cover up evidence of child abuse by contractors in Afghanistan. 9. The Japanese and U.S. Governments had been warned about the seismic threat at Fukushima. 11. Known Egyptian torturers received training from the FBI in Quantico, Virginia. I simply ask anyone who believes Bradley Manning should be in prison – which of these didn’t you want to know, or don’t think you have a right to know? Which of these are you too stupid or too irresponsible to know? Let us now consider a few of the other oft-repeated canards about Manning’s action. Did Bradley Manning endanger lives? To date, the government has made no allegation that any U.S. soldier, citizen, ally, or informant has been physically injured as a result of the revelations. Many facts that the leaks brought to light about U.S military actions in Iraq, Afghanistan, and Yemen, for example, were already well known by citizens of those countries, experiencing the reality at their doorstep. Wikileaks redaction of the Manning material was so thorough and responsible that to date the US Government has not claimed a single person was harmed by the secret information’s release. Manning is denied the right to enter this fact in his defence, however. Why? The leaks merely served to inform the American people of aspects of the U.S. governments’ actions abroad that are not frequently covered by domestic mainstream news outlets. The Iraq War Logs and the Afghan War Diary were comprised of years-old field reports written by combat troops in the midst of battle. Names of local persons are spelled phonetically in these reports, usually with general descriptions of region or cities. The majority of these names were redacted (removed/obscured) by WikiLeaks prior to release. The U.S. State Department has declared that of the non-redacted names, there was not enough identifying information released on any individual to justify taking preventive action. Meanwhile, scores of U.S. and foreign citizens continue to die on a daily basis in these occupation zones due not to Bradley Manning, but due to the controversial policies that he exposed. But what about the quantity of material exposed by Manning? It is often asked: wasn’t he just thoroughly irresponsible? Did Bradley Manning leak documents “indiscriminately”? PFC Bradley Manning held a Top Secret clearance while working as an army intelligence analyst in Iraq. About 11,000 documents were “Secret.” None of the released documents were “Top Secret,” the highest classification. Bradley Manning clearly had access to a much larger number of documents than what was leaked. Disgracefully, in our opinion, President Obama encouraged the perception that Bradley Manning leaked documents indiscriminately when he declared in April, 2011 that Bradley Manning “dumped” information. He then went on to mistakenly declare that now widely-respected Pentagon Papers whistle-blower Daniel Ellsberg was “different” than Bradley Manning because Ellsberg didn’t release information that was classified in the same way. The fact is that Ellsberg (who is campaigning for Manning’s release) released “Top Secret” information when he gave information to The New York Times, while Manning is only accused of releasing lower-level classified information. Daniel Ellsberg has also stated in interviews that alongside critical revelations the Pentagon Papers contained thousands of pages of information of little to no public significance. Like many other whistle-blowers, Ellsberg had to trust media organizations to do some of the sorting of an immense amount of data. Bradley Manning: Hypothetical question: if you had free reign over classified networks for long periods of time… say, 8-9 months… and you saw incredible things, awful things… things that belonged in the public domain, and not on some server stored in a dark room in Washington DC… what would you do? Bradley Manning: say… a database of half a million events during the iraq war… from 2004 to 2009… with reports, date time groups, lat-lon locations, casualty figures… ? or 260,000 state department cables from embassies and consulates all over the world, explaining how the first world exploits the third, in detail, from an internal perspective? Adrian Lamo: What sort of content? Adrian Lamo: what kind of scandal? Adrian Lamo: like what? I’m genuinely curious about details. Adrian Lamo: what do you consider the highlights? So last, but by no means least, is what Manning did treason? Bradley Manning fits the definition of a whistle-blower – not a traitor. The state wants us silent, and compliant. If we do nothing to save Bradley Manning, we are as guilty of his persecution as those who are embarrassed by his honesty. Civil society will be immeasurably weakened if he is convicted. This is the classic definition of a whistle-blower (a person who tells the public about alleged dishonest or illegal activities or misconduct occurring in a government department). Unfortunately, the government is charging PFC Bradley Manning with “knowingly [giving] intelligence to the enemy, through indirect means,” under Article 104 of the Uniform Code of Military Justice – an allegation of treason and a capital offense. By this rationale, scores of service-person-posted blogs, photos, and videos, would now be punishable by death – simply because they are accessible on the Internet. The charge against Bradley Manning appears to be about sending a message to other would-be whistle-blowers. The Founding Fathers restricted the definition of treason in the U.S. Constitution to, “Treason against the United States shall consist only in levying War against them, or in adhering to their Enemies, giving them Aid and Comfort….” They did so because they wanted to prevent a repeat of Britain’s abuse of power when it was the colonial overlord of America. The information above is mainly from bradleymanning.org, the website devoted to securing Manning’s release. In the opinion of this writer, the legal shenanigans over what Manning’s defence lawyers can and cannot say in court, the previous illegal detention of Manning in solitary confinement, the gale of misinformation and bias about his case emanating from Washington, and the inordinate amount of time he has been held without trial, all point to one thing. Obama and the American ruling elite and their allies wish Manning persecuted because they are embarrassed by his actions, not because they genuinely believe what he did was wrong, or dangerous. Securing Manning’s release should unite people of conscience from all sides of politics, and because what he disclosed affects the entire world, it should unite them from all countries, but especially America’s allies. I have no doubt that in due course Bradley Manning will come to be seen as a hero for the common man, the man who rolled back to curtains of Government secrecy for no other reason other than he believed ordinary people have the right to know what is being done and said in their name. Meanwhile, he rots in jail, an intelligent, passionate, but frightened young man who sought to serve his country – and a higher purpose, too. 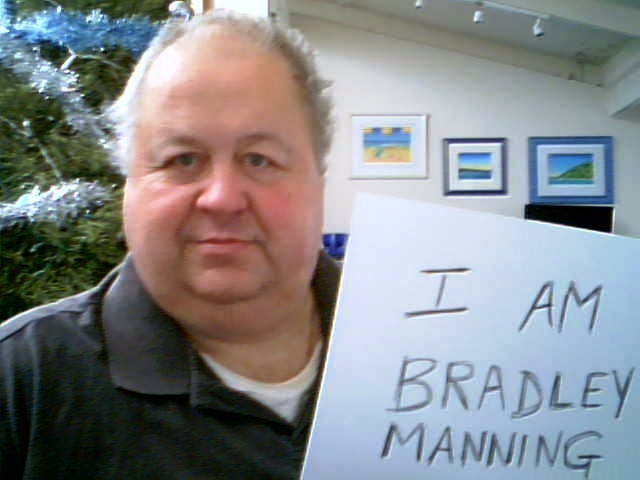 I am Bradley Manning. Most importantly, so are you. After having his sentence commuted by a departing President Obama, Bradley – now Chelsea – Manning will be released on May 17 2017. Bradley Manning is a traitor a U.S. military traitor, just like the Walkers. This young man violated his oath, his honor and the trust of his nation. 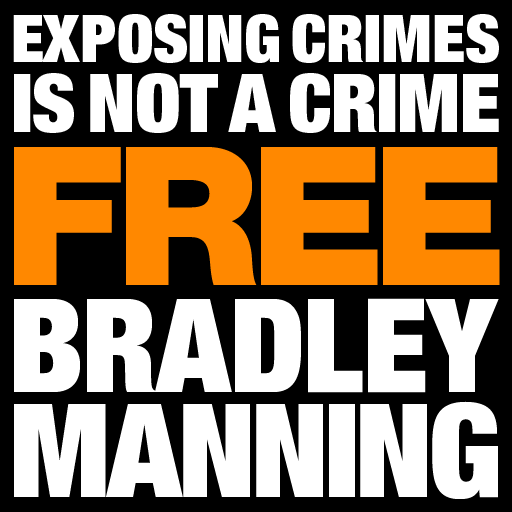 Bradley Manning should go to jail because he knew what he was doing and the consequences of what he was doing. Even for the civilly disobedient arrest and a jail time are expected, Manning should expect the same. Last point I am an old time liberal, but I’m not crazy. Also as far a WikiLeaks goes any organization that won’t filter it’s releases to protect lives is not to be trusted. First: Bradley Manning did not release material to aid the enemy, and this has been acknowledged by the government, but they will not withdraw the charge, nor is Manning allowed to introduce motive as a defence. Second, Wikileaks deliberately redacted vast amounts of material, much of which has been repeated in the mainstream media, to ensure no one was harmed. Nothing, in fact, was damaged, apart from a pervasive culture of secrecy and the American Government’s pride. This is a well-written piece and a tough one for me (being a civilian) to take definitive sides on. I know that where there’s smoke there’s fire, possibly on both sides of the equation here. Either way your piece was well-written and thought-provoking. You should think about sending it as an op-ed to a big US paper. You’re very kind, Stacie, but I am not sure they would take it – the facts in the story are well known, and have been covered by large papers in a desultory fashion – but the real problem is the story doesn’t get the oxygen it deserves because it is politically inconvenient. I might write about it from the perspective of an overseas friend of America. That might have more chance. Yolly, this is incredibly insightful, I genuinely don’t understand though, how you have the time! That’s what the wee small hours are for!